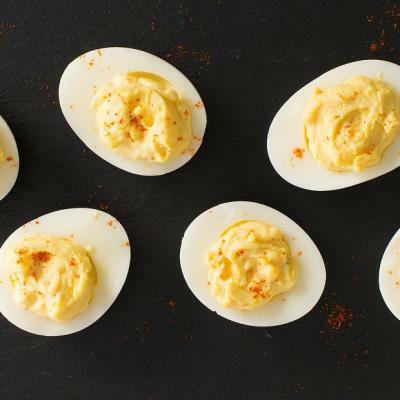 For something different, try this quick and easy seafood version of devilled eggs. You can use real or imitation crab meat, or substitute canned salmon or tuna. Cut eggs in half lengthwise. Remove yolks and place in medium bowl; set egg whites aside. Mash yolks with fork; stir in mayonnaise, celery, parsley, mustard, onion powder, salt, pepper and Worcestershire sauce. Add crab meat and mix well. Spoon or pipe yolk mixture into egg white halves. Serve immediately or cover and store in refrigerator. Serve within 2 days. Finely chopped imitation crab meat can be used, if desired, or substitute canned salmon or tuna. 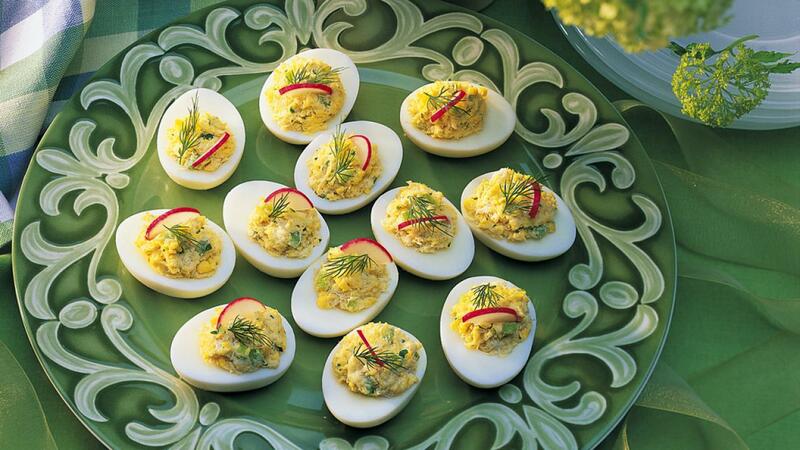 Garnish each devilled egg with a slice of radish, sprig of parsley or slice of stuffed olive.